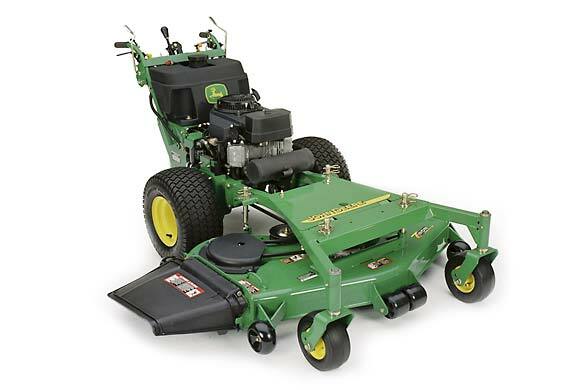 This john deere 7H17 boasts a fully floating deck system, no tool height-of-cut adjustment and an integrated hydraulic tank for a lower centre of gravity. It has not forgotten the operator either: an adjustable height to please all sizes, lower profile controls and automatic-release thumb latches. 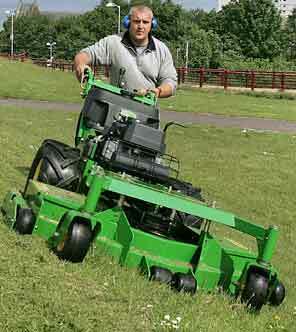 A 1.22 m commercial rear discharge deck provides a powerful vacuuming action to lift the grass and handle more material. Large 4-ply drive tyres for maximum kerb climbing and hillside performance. And it is square shouldered for improved hillside performance. Safety is also key: an operator presence system prevents the operator from starting the engine or engaging PTO under unsafe conditions. The machine will stop if the operator falls or walks away from the machine.